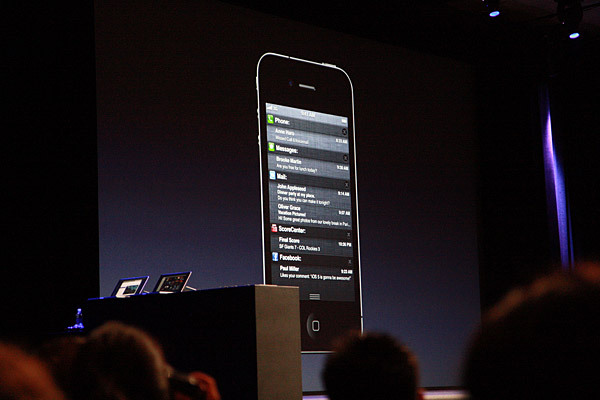 As expected, Apple revealed iOS 5 today during the WWDC 2011 keynote. The most intuitive new feature, arguably, is the improved notifications system. 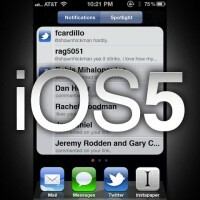 Since iOS 3 the notifications interface has been a pain for most iPhone and iPad users. Whenever a notification would come in, users would have no choice but to deal with it right then. In the middle of a game, or movie? It was annoying. That has all changed with iOS 5. Apple has dubbed the new notification system as “Notification Center”. The clean interface shares some similarities with Android, where users swipe top to bottom in order to view notifications. From there, text messages, e-mails, voicemails, and other notifications can be viewed on the fly. Apple has additionally included options for for stock and weather updates too, so such information is readily available. Users can change what they see in Notification Center, so they can choose to view notifications from certain apps and ignore others. To open up a notification, users will be able to simply swipe it with their finger and the respective app will automatically launch.